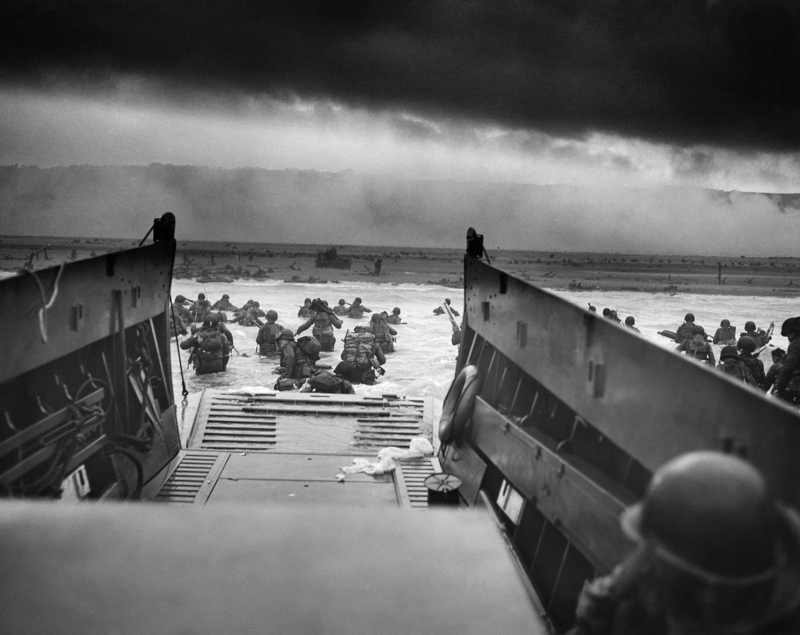 The D-Day Normandy landings were awe-inspiring for countless reasons: the bravery of young men who risked everything. The sacrifice made by those boys a world away from their homes in America and Canada as well as Britain. The courage of French people resisting a brutal enemy to support their liberation. And the unimaginable scale of the assault on Hitler’s European fortress – one of the greatest feats of organisation as well as arms. This week’s 70th anniversary commemoration of D-Day was humbling and inspiring. 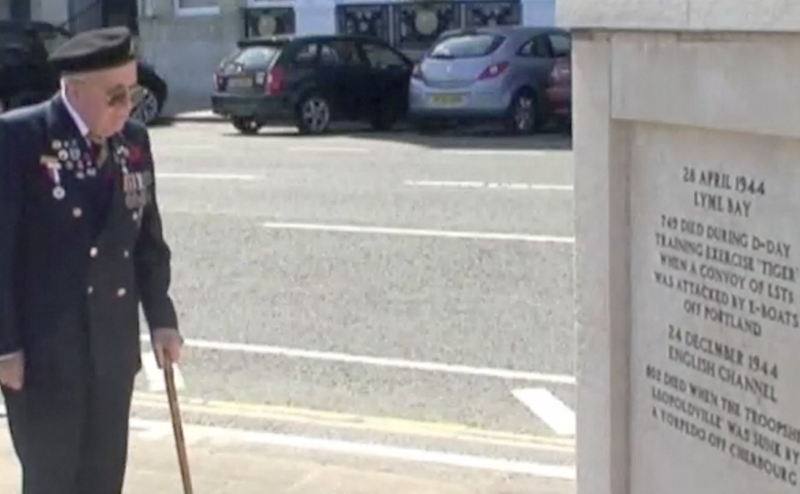 Not for the inevitable array of heads of state and government, but for the sight of hundreds of ageing veterans of Operation Overlord visiting the landing beaches for the last time. My generation can hardly imagine what they went through. Next time you’re fretting over a PowerPoint presentation or a cancelled train, think of Normandy 1944. “There appeared on the horizon day after day more and more objects; we didn’t know what they were. They covered the horizon as far as you could see, right the way along. And then one night the tugs were going – all night long you could hear them ‘woop-woop; woop-woop’. And my father, who used to go out about seven in the morning came back and said, “You’ll never believe it, they’ve all gone. And we found out later they were the Mulberry harbours.” These were extraordinary prefabricated harbours the size of Dover docks, built in Britain and towed at 5mph to Normandy. Britain was known as the unsinkable aircraft carrier at this stage in the war because of the millions of troops of many nations stationed here ready for the great invasion. Aline talks about how she and her older sister were befriended by a Canadian solder who was part of the Commonwealth forces encamped near Bognor. Her sister nearly missed an 11 plus exam because a convoy of tanks was passing as she waited to cross to the exam hall. One tank stopped to let her across – stopping the whole convoy! Then one day they discovered the Canadian soldier and his comrades had gone, like the Mulberry harbours, across the channel to France. Back in 1998, I got the ferry to Ouistreham (Sword beach) and cycled along the D-Day coast to Arromanches. As I freewheeled down the hill towards the town, I could see the remains of the Mulberry harbour in the bay. It was a bleak scene in the rain, but my discomfort was nothing to that experienced by the seasick liberators of 1944, wading ashore to deadly gunfire. I was sorry I didn’t have time to visit the excellent D-Day museum at Arromanches, with the story of the harbour that handled 4 million tonnes of supplies and 500,000 vehicles in the 10 months it was used. D-Day echoes down the years. Nearly 40 years after the liberation of Europe began, the British carried out another audacious landing at San Carlos in the Falkland islands to begin the end of Argentina’s occupation of the islands. On Friday 21 May 1982 I listened to Radio 4’s PM programme’s account of the invasion. Growing up on memories of the second world war, I never imagined that Britain would once again be sending men to war in assault ships. The echoes of the 1944 operation were evident – just weeks after Britain had sunk Argentina’s Pearl Harbor survivor, General Belgrano. The war may have been controversial, but the courage displayed was timeless. Back to 1944. England’s south coast was the launchpad for the invasion. Weymouth in Dorset was a key location, and the American rangers who suffered such a toll scaling the cliffs of Normandy embarked here. In 2010 I was moved to see a British veteran paying tribute in Weymouth to those who died in the D-Day ‘Tiger’ training exercise in Lyme Bay. You can see a US tank recovered from the Tiger disaster at Slapton Sands in Devon. We all owe a huge debt to the men and women who risked everything for our freedom. 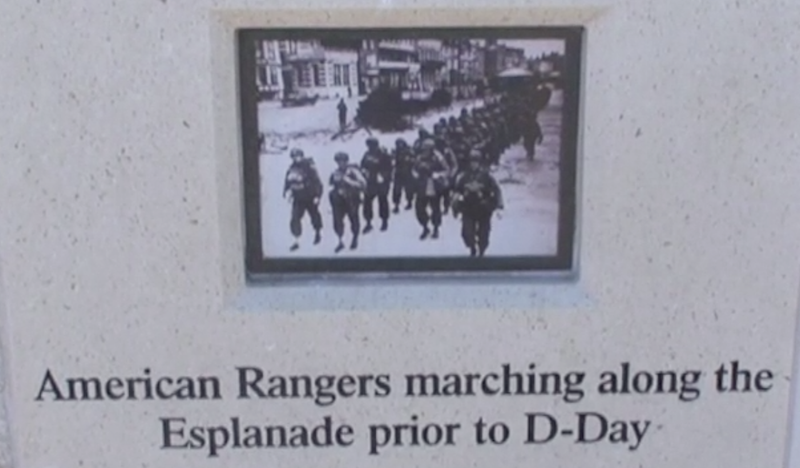 This entry was posted in Britain, History and tagged Arromanches, D-Day, Normandy by Rob Skinner. Bookmark the permalink.